Chris Claremont came to Marvel as a young man, and was assigned a book that no one else wanted, a book on the brink of cancellation: X-Men. Over the next 17 years, his work on the title turned it into the biggest franchise in comic book history. Forty years later, his work has been adapted into ten films, three TV series, countless video games and has become a part of our cultural mythology. But, it all started with one writer and his commitment to emotionally honest storytelling and real character building. 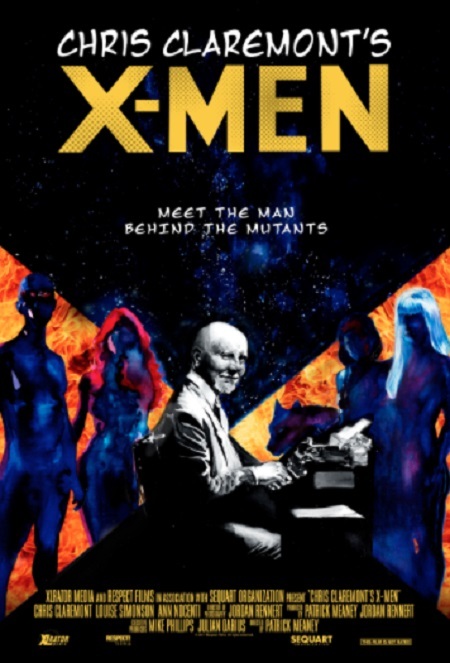 This extended version of the documentary provides an expanded story with more background on Claremont and his two original collaborators, Ann Nocenti and Louise Simonson, revealing secrets into what made them a great team. Viewers will also gain insight into Claremont’s childhood and see what helped make the connection between him and the series outsider heroes. There is also a look at the franchises’ films and TV shows, including Claremont’s key role in launching X-Men and his thoughts on seeing his creations come to life, from the first X-Men film to the recent “Legions” TV series and the upcoming NEW MUTANTS film. With over 40 minutes of new footage, the VOD also contains never-seen-before interviews with Rob Liefled (Deadpool creator), Marc Silvestri (artist) and hard-core fans who share the impact both Claremont and the comics have made on them. The feature documentary is directed, produced, and edited by Patrick Meaney. Jordan Rennert produces and is the Director of Photography. CHRIS CLAREMONT’S X-MEN is distributed by XLrator Media and is available on VOD February 6, 2018.